Sometimes, something happens in your life that changes everything. When Sasha was six, her dad died suddenly and the world changed forever. Now she's twelve, it feels like things are changing all the time: her twin brother hardly talks to her any more, her mum's dating a teacher from school, her best friend Lily keeps going on about boys... And Sasha doesn't feel ready for any of it. Why can't things just stay the same? Life is difficult enough for twelve year old Sasha, she's on the verge of becoming a teen, experiencing her first crush on her best friend's older brother and her mother is dating her much younger English teacher, a secret she's expected to keep. To escape, Sasha and twin brother Sean find solace at Blossom House, a beautiful old house that has been empty and on the market for the last two years, Sasha's mother being the agent who manages the property. But Sasha has fallen in love with the old stately home, preferring to spend her time dreaming of whimsical dresses left behind in dust laden wardrobe, than to talk about boys and make up with her best friend Lily. But Blossom House is about to be sold and Sasha's life is about to become a mess of told secrets, scorned friends and a grandmother that just may be hiding more secrets than Blossom House itself. Cherry Blossom Dreams is a lovely and beautifully written coming of age for preteen girls, that will capture their imagination and sense of whimsy. Sasha is a realistic character that most of us could relate to at that age. The crush on the older and unobtainable boy, the peer pressure to grow up before we're ready and for those who have lost a parent. The twins both fear that her latest relationship will end in tears, after past tumultuous relationships left their mother confined to her room at the expense of the care of her children. Luckily enough, the children have their overbearing grandmother who was able to step in and become a mother figure. It was the only negative aspect to the storyline, where their mother often put her own needs before that of the twins. A lovely coming of age novel that's delightfully fluffy for it's middle grade intended audience. It’s not my desert, but this is my escape. I’m doing it on my own. Karanda Hooke doesn’t need anybody or anything. On her way to her sixth foster home, a crash leaves her stranded in the outback with only a backpack, a bottle of water and a stained picture of the mother she hasn’t seen in years. This is her chance to escape her old life. There’s only one thing in her way... Eight year old Solomon. Fourteen year old Karanda is on her way to her sixth foster home, driving the long stretch between Darwin and Alice Springs with her handler and eight year old Solomon, who is meeting his new foster family. Karanda has never felt as though she's belonged, moved from family to family since her mother abandoned her at the tender age of only six years old. The last thing she needs is another family who doesn't want her, then an argument sends the car veering off the road, slamming into a tree. This is her one chance to escape before a rescue arrives. Trudging through the tough Northern Territory desert to find food and water isn't as easy as Karanda thought, and now she needs to contend with Solomon, who refuses to return to the wreckage and wait for rescue. 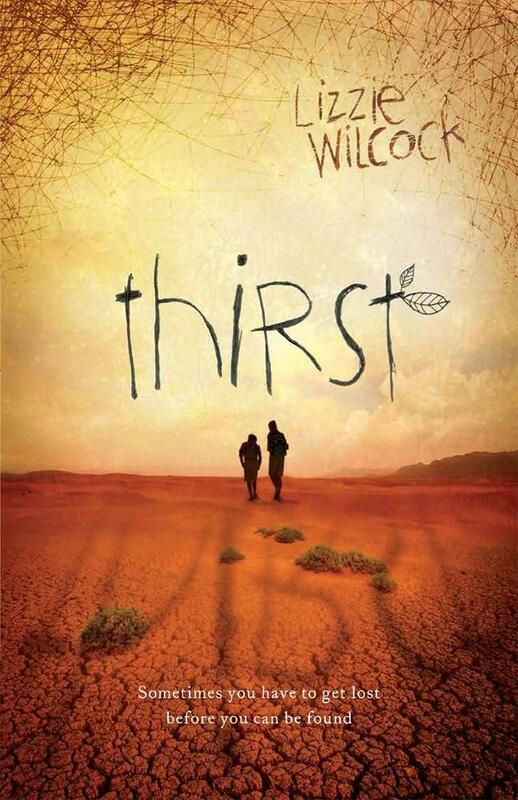 But the dry, arid land is no place for two children and both Karanda and Solomon are about to discover why. Their only option is to adapt and learn to live off the land... Or return. But how do return to a foster system that has already failed them both? Thirst was a unique mixture of contemporary, coming of age and survival in the Australia outback. The storyline follows Karanda, angry, volatile and now having caused the accident that has left her and Solomon stranded, believes she's a wanted girl. Solomon barely speaks, his quiet intelligence and observations can be thanked for keeping the two children alive. All Karanda wants to do is escape another foster home, and tries several times to walk away from Solomon, happy to leave the eight year old boy to fend for himself. The underlying message of hope, family and acceptance is overwhelmed by Karanda's too abrasive personality and I'm not sure the intended middle grade audience will understand her anger towards Solomon stemming from her previous foster situations. I really enjoyed the survival aspect, as implausible as it was and Solomon's knowledge of bush survival. The descriptive world was incredibly vivid and Lizzie Wilcock created a realistic landscape that was both beautiful and terrifying, that was able to hold my interest. I really enjoyed the ending, and children will enjoy that Karanda was able to find redemption after her ordeal. Jonah and Brighton are about to have the most awkwardly awful night of their lives. For Jonah, every aspect of his new life reminds him of what he has had to give up. All he wants is to be left alone. Brighton is popular, pretty, and always there to help anyone... But has no idea of what she wants for herself. Her seemingly perfect life is marred only by Jonah, the one person who won't give her the time of day, but also makes her feel, well, something. So when they are repeatedly thrown together over the course of one night, anything can and does happen. Told in alternating chapters, this poignant, beautiful novel's energy and tension, amidst the humor and romance, builds to a new beginning of self acceptance and hope. Jonah wishes he was anywhere but Cross Pointe, his mother moving them into the wealthy and tight knit community with her new family. A place where he'll never fit in. His heart remains over the state border with girlfriend Carly, where Jonah counts down the days to graduation and plans to leave. Brighton is as beautiful as she is popular and has taken it personally when Jonah chooses not to be part of the school community. Not taking no for an answer, she needs him to agree to her latest project, collecting books to donate to underprivileged elementary schools. But underneath the brilliant smile is a girl who still grieves the loss of her father, trying to hold her emotionally absent mother together while her wild sister carves out her own life at college. Brighton needs Jonah to like her and makes it her mission to engage him socially, and in a night of misunderstandings, parties, former girlfriends and running through sprinklers, the two teens from different worlds will find that they have so much more in common than they'd thought. 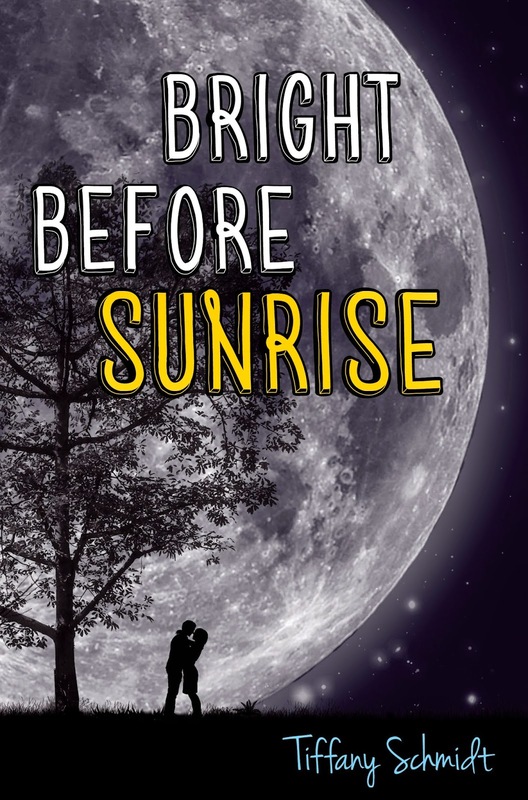 Bright Before Sunrise is a fun, uncomplicated and fluffy teen read about finding your place and learning to live with the hand you've been dealt. Told in alternate points of view, Jonah is withdrawn and angry at the world. He's the leftover child from a broken marriage and seems determined not to adapt to his new life. Honestly, he needed a kick in the pants. While Brighton is seemingly the typical popular girl. Beautiful, wealthy and seems to be only interested in Jonah because he's the one person who refuses to fall at her feet. She needs him to like her, despite the fact he has a girlfriend, even if it isn't for much longer. I couldn't really connect to either character, but both complimented one another and found solace in hidden secrets. It isn't long before Jonah sees that there is more to Brighton than first realised, and over the course of a few hours, find themselves falling for one another. It's not quite instant love, but a mutual fondness over a shared experience. Bright Before Sunrise is an entertaining teen read for those looking for something quick and without a deeper substance. Even though I did enjoy it, it could have used a little more emotional pull to add depth and character development. 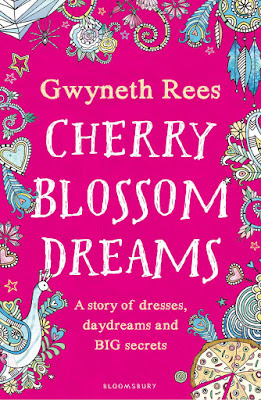 Chery Blossom Dreams seems to have stood out the most to me. I can’t quite find the words to explain how or why, but for so many reasons I am unable to list at the present moment (ha ha ha!). Internal conflict and drama lures me in! I can’t even begin to imagine what Sasha deals with internally with having her momma date one of her teachers. This may be something I would pick up and read before making the decision to share it with my oldest girl :) Great post! Thanks Claudia. The premise really is lovely, and age appropriate for middle grade as well. Let me know if you pick up a copy, I would love to see what your little one thinks of it. I have, just a little tweaking until I get the mix right. It reminded me of books like The Geography of You and Me, but didn't take advantage of the adventure aspect really, which could have been so much more. It's perfect for a quick read if you're looking for something fluffy. I hadn't actually heard of her before, but interested to see what else she's released prior to Cherry Blossom Dreams. From all three books, that one was my favourite. Such a lovely and whimsical middle grade read. Thirst and Bright before Sunrise are not on my TBR, but I got Cherry Blossom Dreams to review and am looking forward to read it. From your review, it sounds exactly like I expect it to be. Thanks for sharing. It was lovely Rochelle, really well written and I loved the description of Blossom House. Incredibly vivid. Looking forward to seeing your thoughts on it. 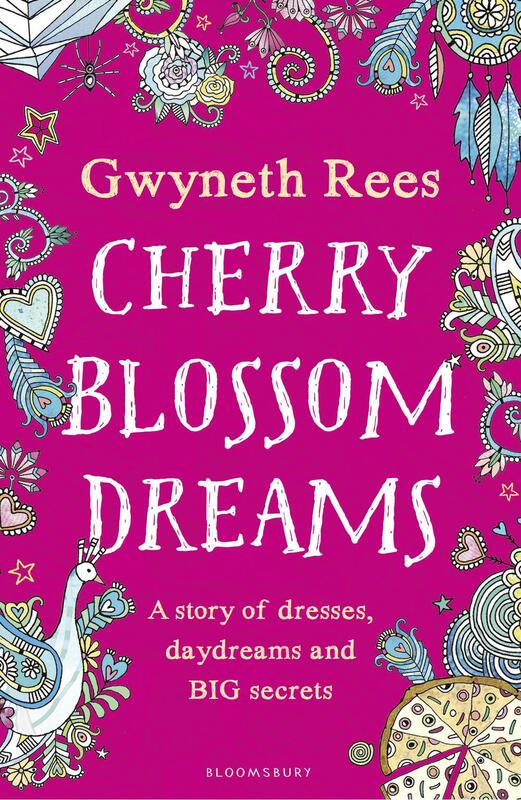 Cherry Blossom Dreams sounds like a sweet read, even if the mother is a largely absent one :/ I love the cover of it too, it reminds me of the books I used to read as a kid! It's really lovely Wattle, whimsical and lovingly written too. SEe I don't do well with MG novels that sound a bit too young, I think I'm a bit past the point of getting into them these days. But I do like the survival aspect of Thirst which sounds good. Bright Before Sunrise sounds like an interesting way to approach romance, kind of stereotypical...I don't know how I would feel about that romance. Great reviews Kelly! It's a bit like The Geography of You and Me, but younger and not as adventurous. A fun, fluffy read for a rainy afternoon. Thirst would have been incredible, had it been older characters and longer, the premise is awesome. Survival without the apocalyptic conditions that usually come along with it. I DNF'd BRIGHT BEFORE SUNRISE :p I think it's because of the fluff. And Thirst looks really good (Might try that one) But Cherry Blossom Dreams will definitely go into my TBR because I just love that blurb and cover. I'm glad you enjoyed them Kelly but I hope I enjoy them even more HAHAHA <3 <3 Great reviews!